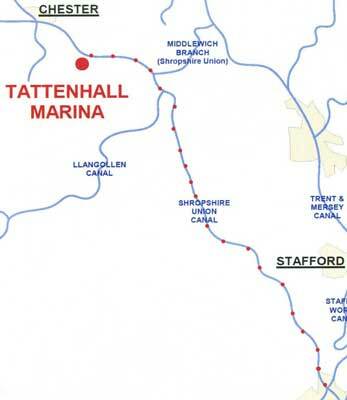 Cruise the Shropshire Union Canal south From Tattenhall to Wolverhampton & back - 52 miles and 30 locks each way. 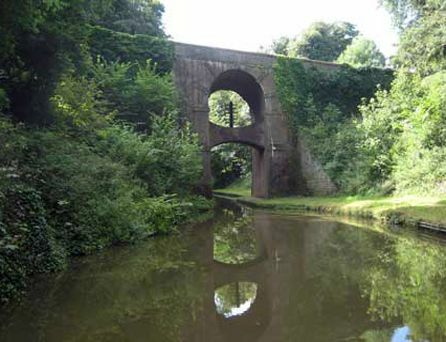 The 'Shroppie' is predominately a countryside route as it works its way through valleys and hills and is characterized by its high embankments, deep cuttings and grandiose bridges. 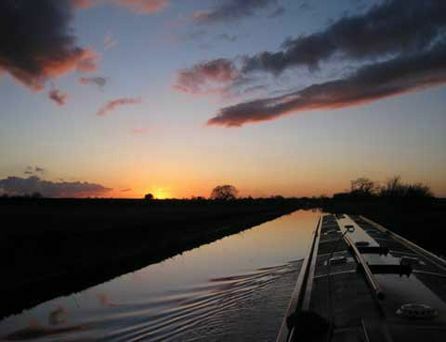 As you begin your journey from the marina the canal is broad (originally known as the 'Chester canal') and only narrows once you reach the town of Nantwich. 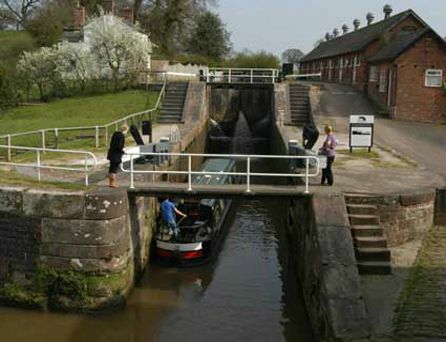 From here locks are grouped together, 15 at Audlem and a further 5 at Tyrley near Market Drayton. 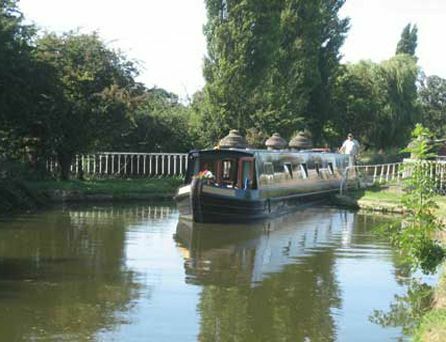 There are plenty of wayside pubs on route where you can relax and enjoy the passing canal traffic and several towns and villages within easy reach to stock up on your provisions. 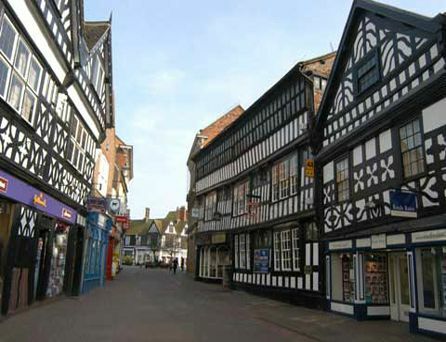 Places of interest on route include:- Nantwich, a lively market town with its history as an 'ancient salt town'.www.nantwichtowncouncil.gov.uk Hack Green 'Secret Nuclear Bunker' Audlem a pretty village with 2 excellent wayside pubs the 'Shroppie Fly' & 'Bridge Inn'. 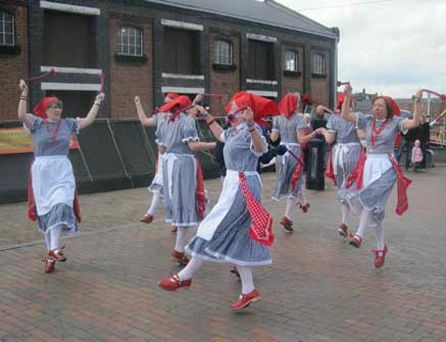 Market Drayton home of 'Gingerbread'. 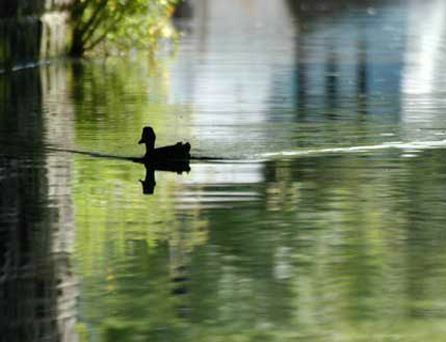 Villages of Gnosall, Wheaton Aston & Brewood for your supplies. 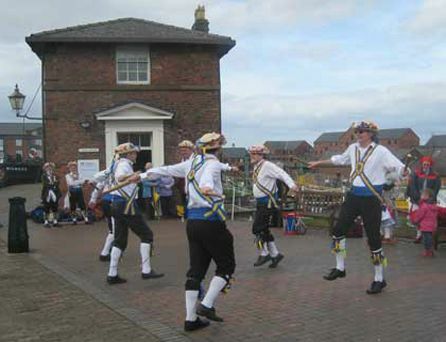 Only 6 miles north of the marina, you may also wish to include a visit to the historic city of Chester which has both a historic interest in its 'roman city walls' and cathedral and excellent shops within the famous 'Rows'. The Chester horse races feature throughout the summer season (www.chester.races.co.uk) or take a leisurely cruise along the river Dee on one of Chester's tourist boats. 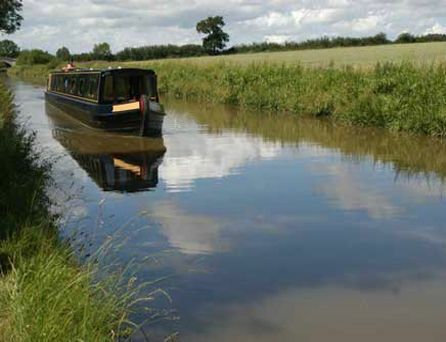 Visitor moorings can be found in the vicinity of Cow Lane Bridge where there is a convenient winding hole. 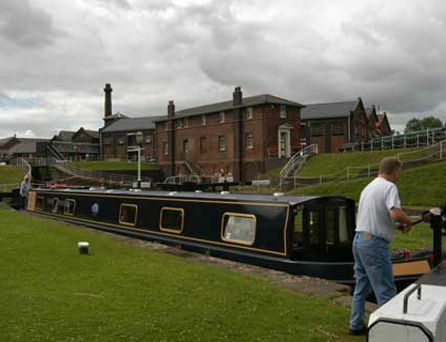 Visitor moorings are also available at Tower Wharf beyond the Northgate staircase locks. 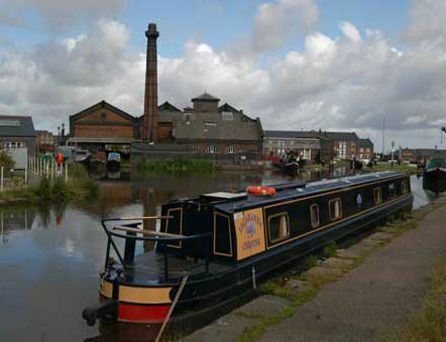 For a one week cruise why not continue further north where the 'Shroppie' ends at the Manchester Ship Canal by the Boat Museum at Ellesmere Port. 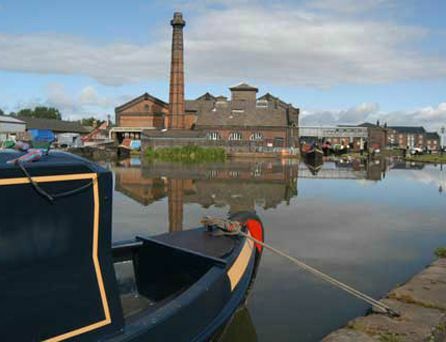 Opened in 1976 the museum has a large collection of working boats, indoor exhibitions and the Porter's Row depicting life for the dockworkers from 1840-1950. 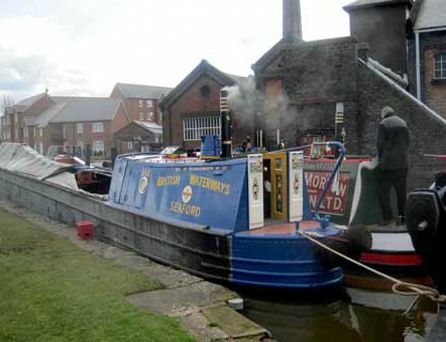 Or travel south along the 'Shroppie' and take the Middlewich branch towards Middlewich town and branch off to take the Trent and Mersey canal towards the famous Anderton Boat Lift at Northwich. A mixture of lovely countryside and industry.